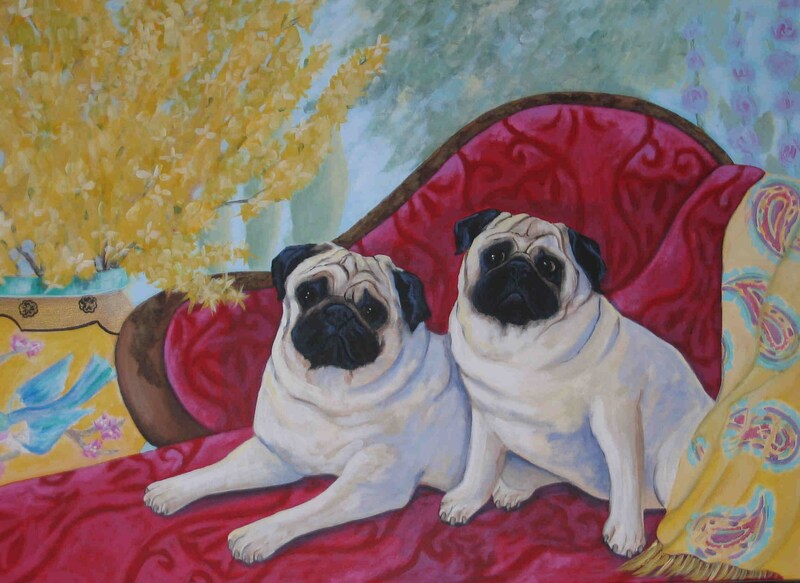 These pugs look regal and happy on their velvet chaise! Adorable item and great seller. Thank you! Those expressive faces have been captured perfectly. So content together on their "throne." Thanks for the terrific card. Nicely designed and crafted card. Pleased with purchase. Thank you. Another perfect dog card! Thanks so much!